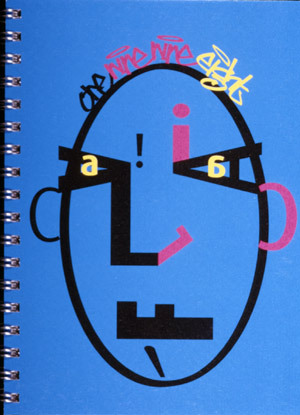 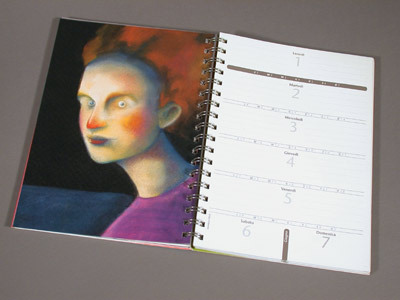 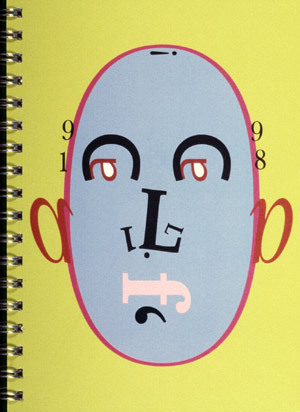 Promotional datebook featuring a different portrait on every page facing a single week calendar. 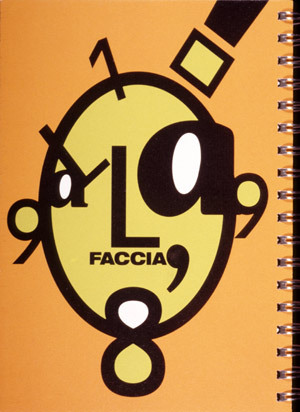 The portraits inside the book are by various Italian illustrators. 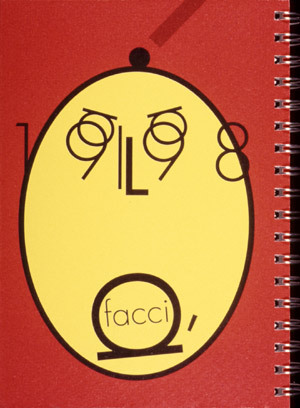 The inside and outside covers are the typographic self-portraits of Pino Trogu, Mauro Panzeri, Pier Antonio Zanini, and Mauro Santella.